While it's easy to depend on a simple pair of white sneakers (New Yorkers, I'm looking at you!) try spicing things up with a metallic pair instead. If you're too afraid to go head-to-shoe sparkle, sprinkle in bits of this 80's trend via your shoes or handbag. 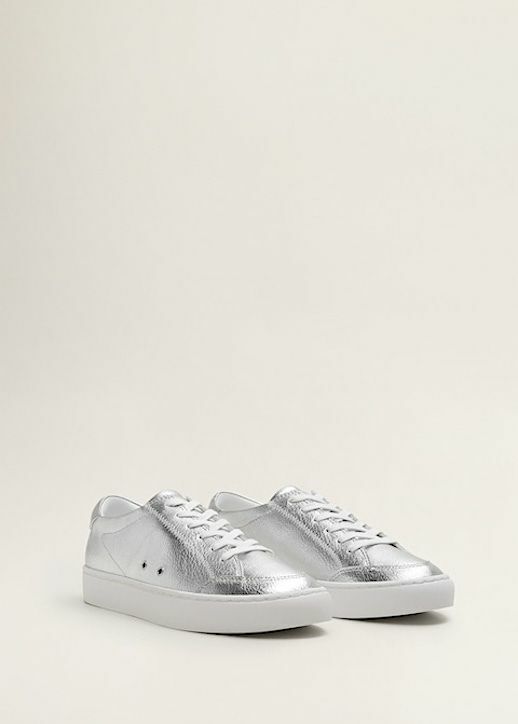 The first step: look to these Mango sneakers.